There’s something strangely satisfying about running 10-20km through mud, under barbed wire, through creeks that are so cold they take your breath away, over shear walls and through fire. Getting to the end and knowing that you’ve pushed yourself both physically and mentally comes with an enormous sense of achievement. If you’d told me a few years ago that I’d be competing in obstacle races such as True Grit, Spartan and Tough Mudder, I would have thought you were crazy. But after doing my first obstacle race , I was definitely addicted… and I think it’s a great addiction to have. When you start getting into it, there are many events being run around the country throughout the year and I’ve done them with a team, with my husband, and with my kids. I’m definitely not the fittest person – I have some weight to lose, and my journey to improve my health and fitness is still a work in progress. But getting involved in these challenges has improved my mindset and my self-esteem and that high wall that I couldn’t get over in True Grit, I managed to get over in Spartan a couple of months later. I’m loving my new ‘addiction’ and the excitement I get with these obstacle races is similar to the excitement I get about my business. The challenge of trying something new; the excitement of starting a new project; the feeling of accomplishment when reaching a goal. Here are my three major takeaways from competing in obstacle races, which can be applied in my Small Business. My first obstacle race was True Grit – approximately 13km and 30+ obstacles. I was in a team with 15 friends and we all stuck together and helped and encouraged each other throughout the event. Some of the challenges like getting over some very high walls, I could not physically do without the help of my team. And others were as much a mental challenge as a physical one, where my team mates were cheering me on, helping me get through them. When you start out, you don’t know that you’re going to be successful, or what that even looks like, and you encounter many situations that are daunting and challenging. You could take the easy route and walk around the obstacle (and there’s absolutely no shame in that! ), or your team could be the encouraging voice you need to get you through it. Even if you are a business of one, you can still surround yourself with a supportive team consisting of staff, clients and colleagues. Involve your staff in your business plans – they may have some great ideas that you haven’t thought of. Get involved in groups, either face to face or online, where you can bounce ideas around with other business owners from both within and outside your industry. Some may be experiencing challenges that you’ve already overcome, so you’ll be able to be the support and encouragement they need. You can get great things done with a supportive team around you. There’s a well-known saying about stepping outside your comfort zone because that’s where the magic happens. This is so true! 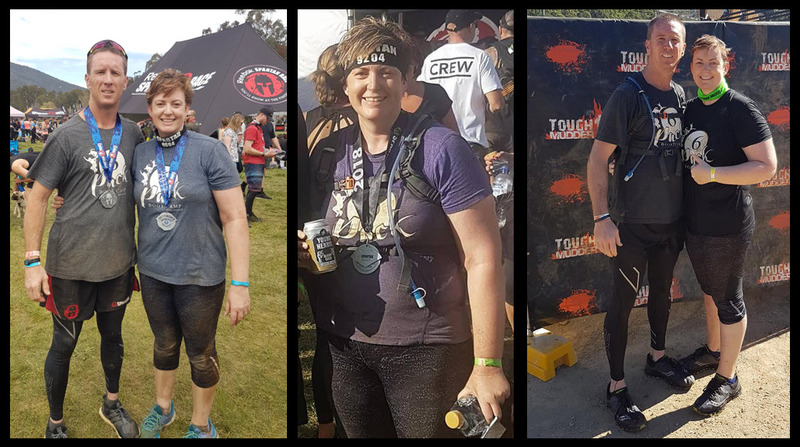 If I hadn’t stepped outside my comfort zone and booked into my first obstacle race I would never have known how much fun I was missing out on! Right up until that first race day, I didn’t even know that I could complete it – but you don’t know what you can actually achieve until you give it a go, and you may just surprise yourself! … when you first start business, taking on more clients, hiring staff, expanding to commercial premises, bringing on stakeholders, diversifying … the list goes on. Imagine where your business wouldn’t be if you hadn’t taken that first step. I encourage you to think about the things in your business that you’ve put in the ‘too hard’ basket. Make a plan to tackle them, and get it done! After the shear exhilaration of completing True Grit, I was totally hooked and set about finding other challenges I could do. Within a matter of months I’ve backed it up with Spartan, Miss Muddy, YMCA Rat Race, training with Commando Steve, Holt Bolt, X Race (one with the kids) and True Grit Night. And all of this is working towards my biggest challenge yet – Tough Mudder next year. Tough Mudder is a 21km race with many obstacles that I’m certainly not ready to compete in yet. But I’ve set my goal and by May next year, I will be ready and it will be amazing! What’s the point of running around the same wheel over and over? Where’s the challenge? Where’s the excitement? Working towards your goals can give you a whole new momentum you didn’t realise you had, and opens up opportunities you never knew existed. So I challenge you to take some time each week to think about some goals for your business and plan for how you can achieve them. Your goals will change as your business evolves and it’s really an exciting journey to take. Don’t concern yourself too much with what others think, or what they may or may not be doing – particularly if they have negative opinions about what you’re doing. By all means, take on their feedback, but remember that this is your race, not theirs. If I’d listened to negative comments about obstacles races because I wasn’t fit enough or strong enough, I wouldn’t have tried – and I wouldn’t have discovered these great events that I now have available to me. 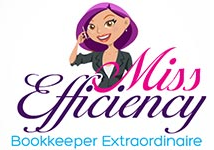 If I had listened to the people who said business was hard and maybe I’d be best staying an employee, I wouldn’t have created a business that earns enough income to support our family and our lifestyle, and has lasted the distance for 15+ years – and that I love! Follow your own path and it will lead to wonderful adventures – both personally, and for your business!